Empress Elisabeth of Austria. Empress consort of Austria from 1854-1898, married to Franz Joseph I of Austria. 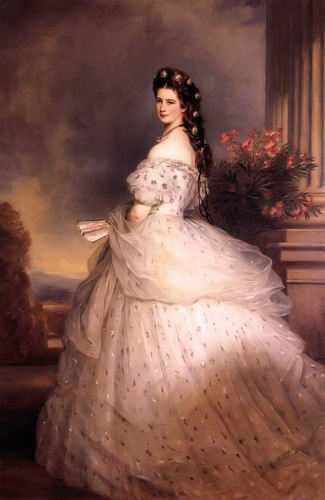 Painted par Franz Xaver Winterhalter, 1865.. HD Wallpaper and background images in the rois et reines club tagged: empress elisabeth elisabeth of austria empress of austria sisi empress.